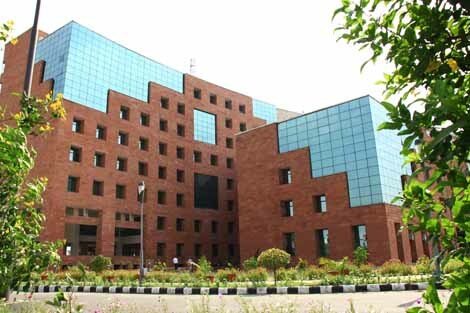 In a recent move, IKG Punjab Technical University has said that the focus of the varsity will now be more on employability of the technical graduates of the state. The university has seen downfall in standards in last few years and the authorities now seem quite concerned about taking the university back to good level. The university has decided to achieve its target by recruitment of well qualified academicians as faculty members strictly as per UGC guidelines. Further, the colleges under the university shall be coordinated with on regular basis and more closely to improve the quality of education being imparted. The action plan for the same is ready and shall be executed soon. Stress is on recruitment of top notch academicians and other human resources in the University. Human Resource Audit and review report is expected to be finalized in next two weeks so that the human resources of IKG PTU could be reorganized and restructured in an efficient manner. The primary aim of this move is to manage and improve technical education in the State. After the audit report, the recommendations will be made on optimal utilization of the current manpower of the University and the future manpower requirement to run the University efficiently. The contractual posts of academicians and faculty members which were in deviation to rules like age, qualification, experience and fair & transparent recruitment process will be cancelled and the varsity would begin the recruitment process for filling up of such posts on regular basis within next 7 days. Further, the rules and regulations of both the State Technical Universities will be standardized. The report by the committee appointed to look over the matters shall be submitted in next meeting of the Board of Governors. Various initiatives have been undertaken by the university in last six to nine months in order to improve the transparency and overall working of the University. In addition, the focus will also be on sports, extra-curricular events, universal human values, community and social work etc which will help in creation of better professionals. Keen on providing the people of Punjab with as many facilities as possible, the Government of Punjab is focusing on making the complete citizen service delivery online across the State of Punjab. The move shall greatly minimize public contacts with various offices, eliminate corruption, and augment efficiency of administration and delivery of services. The online provisioning of citizen centric services has been on cards for quite some time and step by step it is turning into reality. The government is continuously reviewing the work of backend computerization of various services and progress of all other e-Governance projects. It has come to light that backend digitization under e-District project and online service delivery is on track and 20 high volume citizen services have already been made operational in all 22 districts of the Punjab. Backend workflow is completely automated in these services. All the needed documents are scanned in the Suwidha Centers and are forwarded to the concerned department electronically. This has made the process quite speedy and efficient. The services include various certificates, pensions’ services, Arms license services etc. The final certificate issued by the concerned department is digitally signed and the digital repositories of all certificates are created for future usage. Currently, the focus is on Backend digitization of all 42 services and is expected to be completed in next few weeks. Under State Service Delivery Gateway project, citizens can apply online to 20 citizen services while sitting at home on Punjab State portal. The portal supports statutory and other fees payment through payment gateway through which the fees for the services can be deposited online. The final certificate is delivered to the citizen via email and through post. Stress is also being laid on following up for the funds for backend digitization and portal development of 200 more services with Government of India under Digital India scheme. 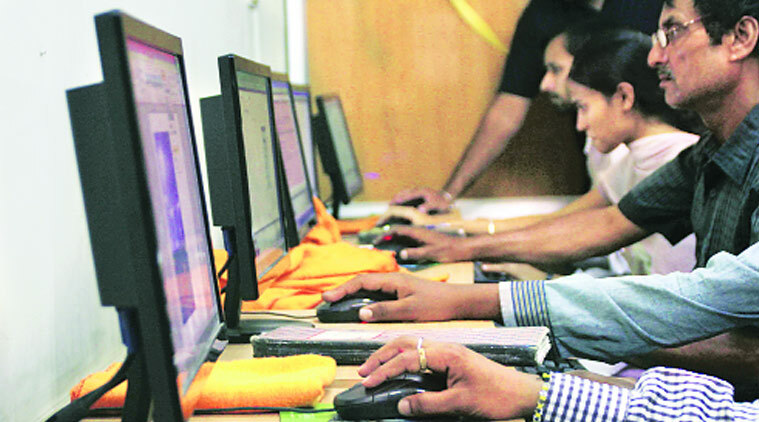 Further, Punjab Wide Area Network (PAWAN) connects 139 directorate offices in Chandigarh and SAS Nagar allowing implementation of projects including e-Office, Integrated Financial Management System, Integrated Workflow Management System. 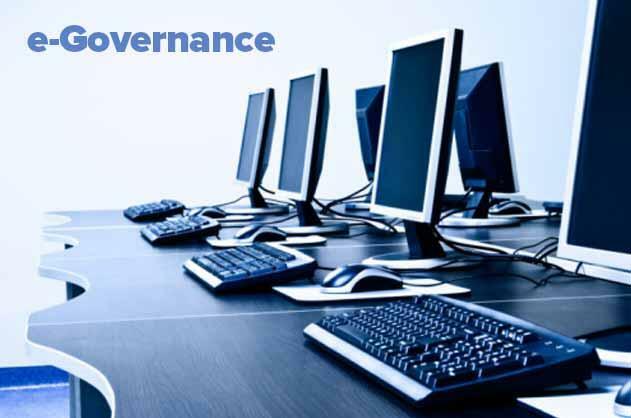 Implementation and proper maintenance of e-Governance projects in the state will further provide the citizens with time bound and hassle free services, making the things much easier for them than ever before. 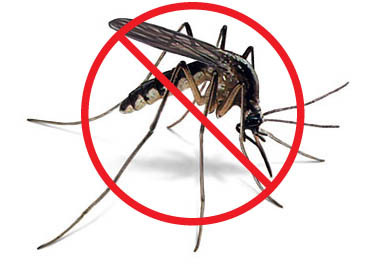 Monsoon season has increased the risk of dengue as stagnant water becomes breeding ground for mosquitoes. It becomes more important to keep check of spread of diseases like dengue in this season. Punjab Government has been taking significant steps to improve healthcare in the state and has taken this issue seriously. A cleanliness drive has been launched across the state to make sure that there is no breeding ground for mosquitoes which can lead to spread of diseases like dengue. Cleanliness drive has been launched in all the cities of the state and clear instructions have been issued to all Municipal Corporations and Municipal Committees for the same. Special emphasis is on slums, industrial clusters and congested areas as these areas are more vulnerable to such diseases. In addition, instructions have been issued to intensify fogging to check the spread of dengue. Medical colleges across Punjab have been directed to setup separate wards for dengue. They have been told to make sure that every suspected patient of dengue is provided complete treatment. Also, the medical colleges are advised to launch awareness campaigns involving Resident Welfare Societies to educate the citizens so that they are aware about the disease fully and could visit the hospital at the earliest. Civic bodies have also been instructed to launch cleanliness drive to check the spread. This is a great step by the government. In a move earlier, the government had ordered complete revamp of public healthcare facilities including improvement of infrastructure. Punjab Government is quite serious about taking the youth of Punjab to next level by helping them gain industrial skills. Government’s ‘Skill Punjab’ project is aimed particularly at providing the youth with carious opportunities to gain skills and be an asset to their families and the state. In a recent move, the State Government has decided to set up 50 skill training colleges for girls. In addition, 2,000 skill training centres shall also be set up at village levels across the state. These colleges shall be affiliated to eminent universities in the state including Panjab University, Punjabi University andGuru Nanak Dev University. Each college will be opened at a cost of Rs. 20 Lakh for 300 students and short term courses will be run by these colleges. Students will trained and guided in these colleges enabling them to launch their startups, self–employment ventures or setup their own units to become entrepreneurs and job providers. The short term courses shall be of limited duration ranging from one to three months. These courses will help unemployed girls to become self-reliant by establishing shops/units leading to the empowerment of rural women.Course and training programmes will be designed in consultation with the departments of Industry and Commerce, Technical Education and Industrial Training, Labour, Agriculture and Food Processing. 2000 skill centres will also be established adjoining sewa kendras that will impart training in skill oriented short term courses/modules for rural youth in a cluster of 4-5 villages. Key motive of the government behind these major moves is to make the youth self reliant and part of growth oriented activities undertaken by the State. Further, the students will be aided financially by arranging them loans from commercial banks. Sales counters will be set up for the entrepreneurs and self help groups (SHGs) at tehsil complexes, hospitals and other existing government or other buildings/complexes to help them in the marketing of products. Food Industry Capacity and Skill Initiative (FICSI) is also implementing skill development scheme which will unveil huge potential and scope for skilling people to be self employed and become employment creators rather than being employment seekers. With such initiatives by the state, Punjab will soon become self sufficient in all sorts of goods and services. Also, this will greatly elevate the living standard of the state which is already at number one in the country. Prime Minister Narendra Modi inaugurated International Airport at Mohali on September 11 and with this the state has become the smallest state in the country and first in the northern region to have two international airports. Punjab had one international airport before this at Amritsar. Addition of another international airport will prove to be a big boost to economy of the state. The state will now be better connected with rest of the world. It is a wonderful gift to the people from the Punjab Government. Punjabi Diaspora settled across the globe is seeing this as a gift that will help them connect more closely with their roots. The airport will prove to be a boon not only to Punjab but to the entire northern region including Haryana, Himachal Pradesh, Jammu & Kashmir, Uttrakhand and even the Western part of Uttar Pradesh. The state government has been emphasizing a lot on developmental projects across the state and is inviting investors from across the world to invest in progress of Punjab. 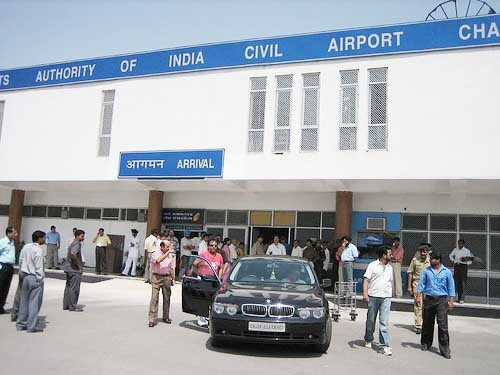 Absence of international airport in Northern Region forced the passengers to travel to Delhi to board international flights. This has been causing than harassment and huge wastage of time and money. With inauguration of the new airport, the people can now board the flights for international destinations at Mohali. Besides, the airport will also act as a catalyst in promoting industrialization in the state. Punjab can now be seen as one of the most preferred destination to do business and will attract a large number of investors. The project has been installed in around 300 acres of land and of this the constructed area is 62500 square meters. A total of Rs. 939 crore has been spent on making this dream a reality. The airport will serve as passenger hub and cargo hub for import and export of raw material and perishable goods like fruits, vegetables and medicines. In addition, it will also meet the growing demand of maintenance repair overhaul (MRO) facility for all sizes of aircrafts. The airport features includes LED lighting, energy efficient chillers, double insulated roofing system, rain water harvesting, re-use of treated water, etc. making it one of the best state-of-the-art facility the state has ever seen. Depleting water table in Punjab has been a serious concern since past few years. Most of the people in state are agriculture dependent and largely use the ground water for raising their crops. The state has been facing agrarian crisis for quite some time due to issues like this. The Punjab Government has been taking steps solve agriculture related issues and is keen on helping the state to revive its water table. In a recent move, Rs.120 crore has been set aside by the government for a new project called Underground Pipeline System (UGPS). This project has been highly successful over time and is used for efficient use of water resources by developed countries. In the current financial year, an outlay of Rs. 15 crore has been provided to cover area of 14000 hectare under this project. This project is expected to successfully solve the problems of ground water depletion in central Punjab, scarce water resources in the northern sub-mountainous belt and brackish groundwater in the south-western part of the state. These systems are known to save water and also are highly successful in improving yield and quality of farm produce. The project has been initiated by the Department of Soil & Water Conservation, Punjab and is a three-year development project. 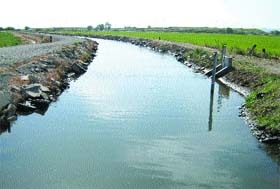 It is aimed at judicious use of available irrigation water from surface & subsurface water resources. Further, the state government has also planned a comprehensive irrigation program under which two-tier subsidy will be given. The project will be publicized through village Panchayats, Soil Conservation and Agriculture Department extension workers and also through print and electronic media. More than 35027 hectares area across Punjab shall benefit from this project. The major benefit from it will be the socio-economic upliftment of the assisting SC/small/ marginal farmers by assured irrigation and the subsequent strengthening of farm production systems for a better yield. Other than that, it will also help in rehabilitation of the environment by facilitating ground water recharge and curbing salivation of the soil. Implementation of UGPS and rain water harvesting projects will lead to increase in land value by at least 10%, prevent soil erosion, save a chunk of the labour cost and allow for an annual storage of more than 300 Ha-m of rainwater for irrigation. It can expected that the farmers of the state will soon be seeing good days with government taking serious steps to pull them out of agrarian crisis. Punjab has been extremely successful in imparting quality education across students of all sections in the state. Now, the state is being envisioned as a hub of ‘Education and Healthcare services’ across the country. The Punjab Government has taken important steps to boost the education sector in Punjab and it is now one of the leading states of the country in field of education. Recently, Punjab CM laid foundation stone of Central University of Punjab at a village in Bathinda. He has also called upon the centre to set up meritorious schools in every block of the country. Six such schools have already been set up at Mohali, Bathinda, Ludhiana, Jalandhar, Amritsar and Patiala. The schools have been quite successful and have raised standard of education in the state. 10 new Universities and 17 Degree Colleges have been recently set up in the state. Apart from setting world class educational institutions, the emphasis is also on improving the infrastructure in existing government schools and colleges. The newly setup university will provide quality education to 18000 students who would be given every possible facility. The state has earmarked Rs. 2000 crore for the purpose. Once considered the backward district of the state, Bathinda is now home to 4 new universities that strive to provide educations in all fields. With several key projects initiated in the state, special focus is also on the fine medical facilities given to the people. Earlier, people in the state had to travel to other state for treatment of fatal diseases but now they are getting advanced treatment and diagnostic facilities in every nook and corner of the state. Centre has allocated prestigious projects like All India Institute of Medical Science (AIIMS), Indian Institute of Management (IIM) and Post Graduate Horticulture Research and Educational Institute to the state which have raised the standard of healthcare in the state. State has, in past, approved several projects for revamp of healthcare facilities in state and strengthened the infrastructure with help from experts. The people of state now have access to world class and affordable healthcare. With many more projects coming, the state government is keen on making Punjab a hub of state-of-the-art healthcare facilities and education across the country.